The Most Accessible Anti-Gravity Treadmill® ever! 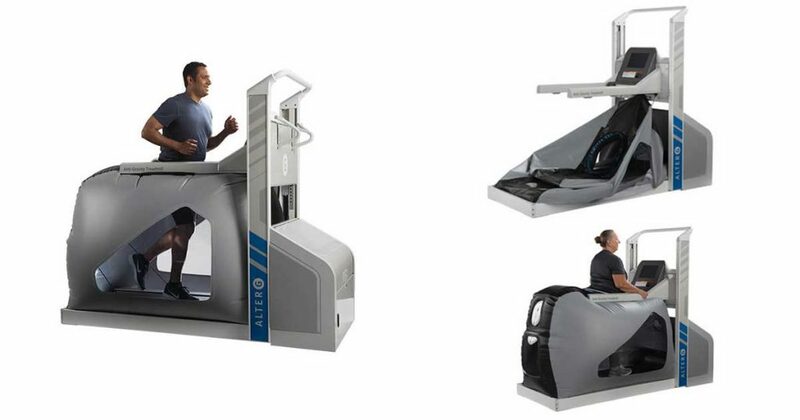 SportsMed are pleased to Introduce the AlterG® FIT, the Most Accessible Anti-Gravity Treadmill® ever! The all-new FIT from AlterG is the most affordably priced Anti-Gravity Treadmill yet. In addition to easier patient ingress and egress, the Fit offers treadmill speeds of 0-12 miles per hour and body weight adjustment from 100% to as little as 40% for users 85 to 350 pounds. Exercise pain-free sooner after an injury or surgery. Improve your balance, range of motion, co-ordination, and strength without the risk of falling. Train while recovering from injuries and get back in the game in better condition. Increase your training volume while minimising stress-related injury. To learn more about the FIT Anti-Gravity Treadmill from AlterG as well as other models contact us!